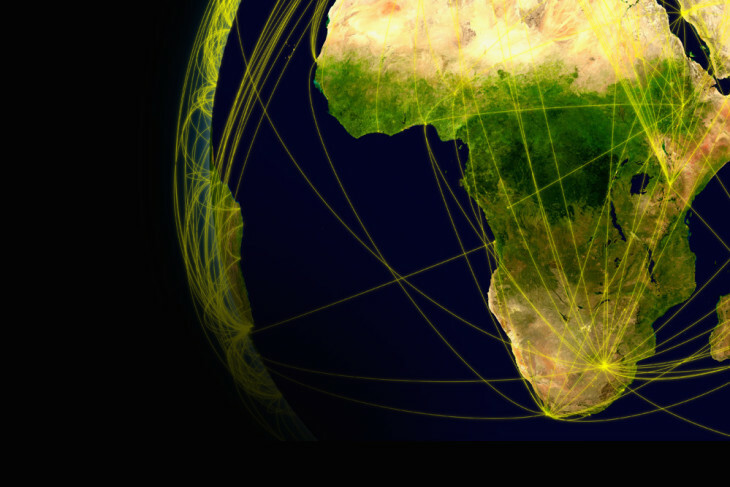 Professional service providers in South Africa are well placed to exploit a growing market for skills and expertise as increased levels of Foreign Direct Investment (FDI) and Overseas Development Assistance (ODA) in Africa see more and more projects coming to fruition. Whether these projects are in the private sector or government owned, there is a need for firms to carry out feasibility studies, environmental and social impact assessments, technical and financial audits, and to provide design and project management services. However, capacity constraints in many countries in Africa leave project owners and project implementing agencies little option but to import skills and expertise. This is particularly prevalent in the preparation and execution of complex projects such as those structured as Public-Private-Partnerships (PPPs). Such projects typically require the services of an external transaction advisor to carry out technical due diligence, structure the deal, prepare bidding documents, manage the bidding process, and assist in the negotiation of a binding agreement to arrive at contract award. These are all complex tasks that require a high degree of financial and legal proficiency. A common misconception is that such opportunities lie only in the domain of large multi-disciplinary firms. The managing partner of a medium-sized firm of town planners is quick to point out that there are numerous benefits in operating as a “small and nimble” outfit: “Much of the work that we bid for requires highly specialised skills. Forget the elaborate logo and flashy website, our clients are far more interested in the CVs and experience of the individuals we put forward to participate as members of a consulting team. Professional qualifications, linguistic skills and the experience of working in African countries are what really count. Also, because our overheads are generally lower than large firms we can offer more competitive rates. We also have the advantage of moving quickly. The firm’s three partners make decisions, not committees that sit only once a month”. Because the Rand has devalued significantly over the past few years, South African service providers are in an advantageous position to offer more competitive rates than firms and individuals that have USD or Euro-based fees. Moreover, South African firms are better placed to provide “home-grown solutions” – solutions that are purpose-built for African conditions. This could well be tested in addressing rapid urbanisation on the continent which is challenging engineers, architects and town planners to come up with innovative ways to utilise scarce resources more effectively. Africa’s urban population is expected to increase from 414 million to over 1.2 billion by 2050. More megacities on the continent will likely provide opportunities for companies providing solutions using green technology. The emergence of a middle class in many African countries is providing individuals and families with greater disposal income. Property developers have been quick to recognise this, prompting them to build more shopping malls, hotels and residential estates. This in turn has driven demand for architects, quantity surveyors, project managers and landscapers. In addition, new office developments have bolstered demand for service providers involved in facilities management. The choice by some countries, such as Kenya and Ethiopia, to promote themselves as hub destinations for air travel is providing opportunities for firms offering logistical support services, and individuals providing technical assistance and advisory services to commercial airlines. A growing market has also emerged around countries, for example Rwanda, who are positioning themselves as centres of excellence for ICT. This is particularly relevant for software engineers and individuals with expertise and experience in cloud computing and cyber security. Furthermore, increased investment in education and training is providing niche opportunities, for example design of curricula and long-distance (remote) teaching. South African companies looking to exploit such opportunities should be aware that in certain countries it is mandatory to partner with a local firm. This should not be seen as an obstacle as local firms who lack the requisite skills regularly seek foreign partners to address their skills shortages. In this regard Griffin Advisors can serve as a conduit between local firms seeking South African partners. Against the backdrop of increased spend in the construction sector, it would be short-sighted for contractors and consulting engineers to ignore cross-border opportunities. According to Deloitte’s “Africa Construction Trends Report 2015”, the total value of projects under construction in Africa increased 15 per cent year on year, climbing from USD 325 billion to USD 375 billion. Arguably the most pressing need is to address the continents power deficit through increased investment in generation and transmission whereas attaining water security remains a priority for most countries in Southern Africa. Investment in water storage infrastructure (dams and reservoirs) and water distribution is required for this. Greater regional integration is driving investment in shared transport, for example interconnecting rail and road networks, whilst airports and seaports are being upgraded to accommodate larger planes and vessels, and meet increased passenger and cargo volumes. However, for South African companies to capitalise of these opportunities, they require timely and accurate project intelligence and guidance in identifying and selecting local partners. These functions carried out by Griffin Advisors. Working with Griffin provides companies with an ideal platform to enter new markets cost effectively by utilising the firm’s extensive expertise and experience. As a service provider, opportunities are not limited to companies only. Over the past few years it has become routine practice for government project implementing agencies, for example National Roads Agencies and Water Authorities, to use individual consultants for extended periods of time. These “embedded” consultants on long term contracts not only provide specialised skills but are able to mentor and transfer skills to local employees. It bodes well for service providers that more and more African countries are looking to diversify their economies by investing in industries such as ICT and renewable energy where rapid changes of technology demand new skills and competencies, attributes that favour many small and medium sized firms. 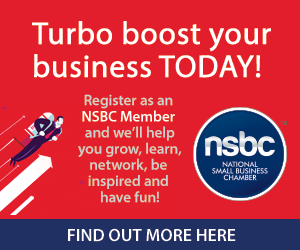 Griffin Advisors are a proud Partner of the National Small Business Chamber (NSBC).